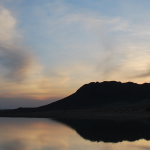 Take a good look between the two pictures below. 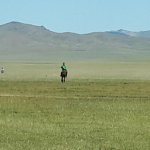 Are you able to pick out which one is a Mongolian horse? If you chose the one on the right, you are correct! 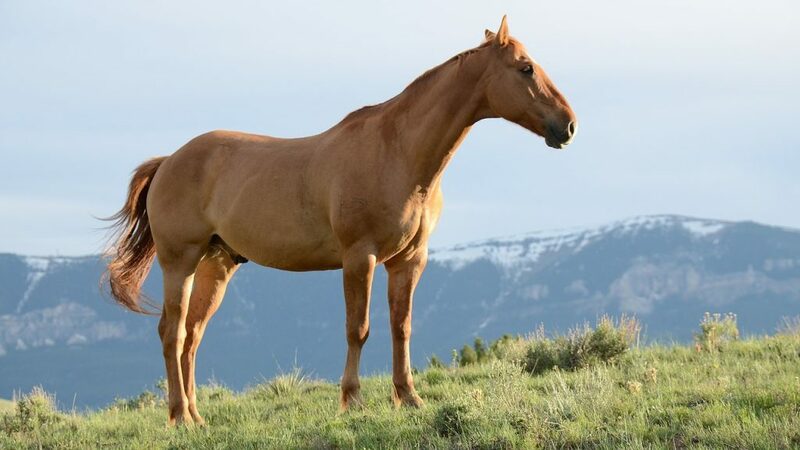 Mongolian horses are generally smaller in size with short legs. However, they more than make up for it with their endurance and hardy nature. 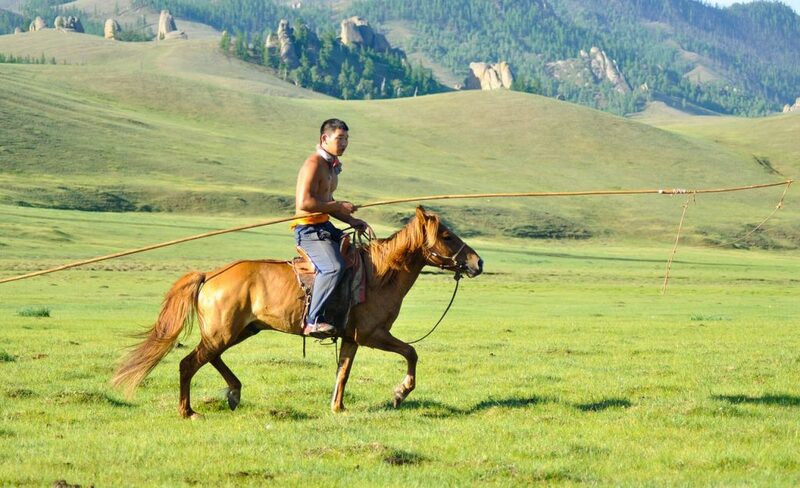 During Chinggis Khaan’s time, the horse played a very important role and was one of the driving forces for Temujin’s many victories and successes. 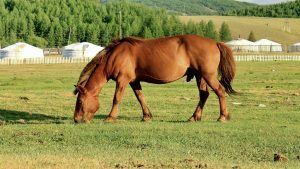 The horse is the most revered animal in Mongolia and it’s common to find statues, poetry, and stories dedicated in their honor. While you won’t find Mongolian horses suited up in armour for battle in today’s day and age, you will most likely see them participating in the racing events during the Naadam festivals. Thousands of spectators gather outside the capital Ulaanbaatar just to get a chance to touch them. 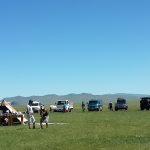 If your travel plans are not during the Naadam festival, there’s no need to worry. It’s fairly common to come across horses roaming the countryside and nomads still opting to ride horses instead of cars or motorcycles, so there are plenty of chances to pet one or take pictures. 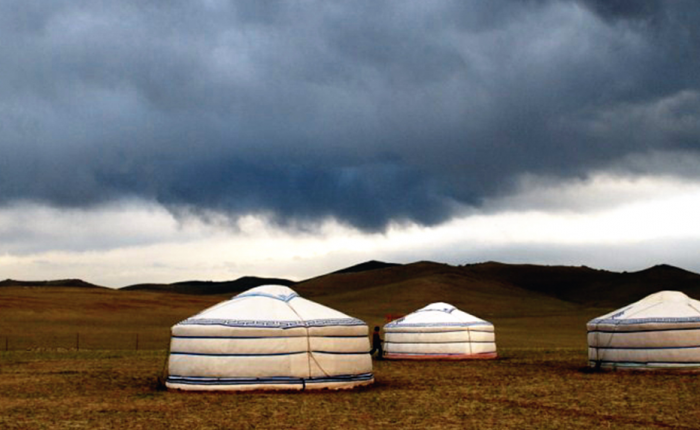 There are even tours dedicated to adventurers wanting to explore the Mongolian countryside on horseback. 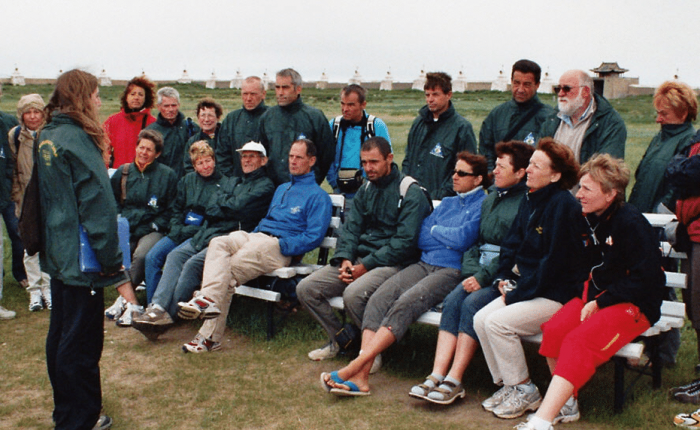 If you are a beginner, it’s best to get a tour guide to show you around, though not mandatory. 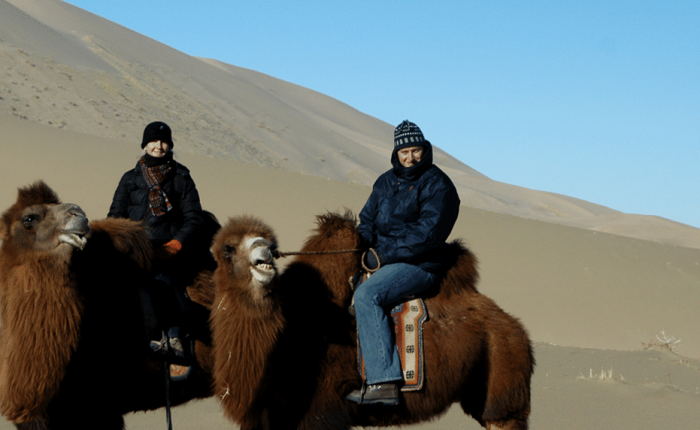 Mongolian tour horses are fairly tame and lazy, so if you are feeling adventurous and want to try riding one on your own, remember these tips. Don’t wear any loose clothing. There is the danger of your clothes getting caught in something, and second, if it happens to be windy, it could scare or spook the horses. They don’t like any weird “flying” objects. Always mount and dismount a Mongolian horse from the left instead of the right. They are trained to be mounted and dismounted from the left. Otherwise they might resist you, get angry or nervous, so remember! Never walk up to a horse from behind or tease them. If they get frightened or angry, there is the danger of getting kicked or bitten. 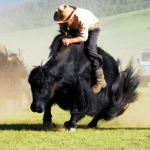 Mongolian horses somewhat test their riders if they are worthy of riding them. If they see you as soft or a pushover, they will test you by standing still, eating grass, and going in a different direction. Sometimes you have to get a little mean and aggressive. Not the chu-chu train sound, but a forceful CHU (pronounced CHOOH) followed with a backward kick will most likely make the horse comply.